Many Australians invest their money in rental properties, but the concept of moving someone in and hoping for the best is easier than the reality, making many investment properties more of a hassle than an investment. In this post we will tell you how to make the most of your apartment and get the best returns on your investment. All of this stems from setting your property out amongst the others that potential tenants have visited. There are a few things you can do to increase the value of your apartment that will attract the tenants you want and the financial gains that you’ve worked for. This will not only enhance the desirability of your apartment, but will also greatly improve your chances of attracting AND keeping tenants. Always ask yourself, “Would I live here? Would I happily pay the rental price for this place?” Doing this will help point out any issues people might have with the apartment. This could lead to making changes that could be the difference between an empty apartment and a tenant’s long term home. When you inspect your property from a potential tenant’s point of view, write a list. Take note of all the things you notice that you would want to change if you lived there. There is no need to go too heavily into detail on your list, for the moment it’s all about noticing and making a note of it. Planning out the things that need to change beforehand will save you much valuable time and money later on. Everything ages, and despite not looking aged, things can easily sound old. It is always a good idea to check the simple things like doors, drawers, cabinets, windows and other things that might moan and squeak. Imagine if you were the tenant, would you want to move into a house that looked like a model but sounded like your grandmother? Make sure the sounds match the appearance so your new tenant’s apartment FEELS new. While doing any minor repairs it would also be a great time to install new windows. They will look better and save you money on your property insurance. Perth can have summers that feel like eternal damnation; for this reason it might be a good idea to add in some extra amenities that could earn you more money and make your tenants more comfortable. Adding something like air conditioning could be the difference between someone renting your apartment or renting from someone else. Other conveniences you can add could be a dishwasher, maybe you could supply a washing machine with the apartment and a dryer or clothes line. The point is to not just have the better apartment, but the better home. Extra amenities will give you an edge in the rental market. 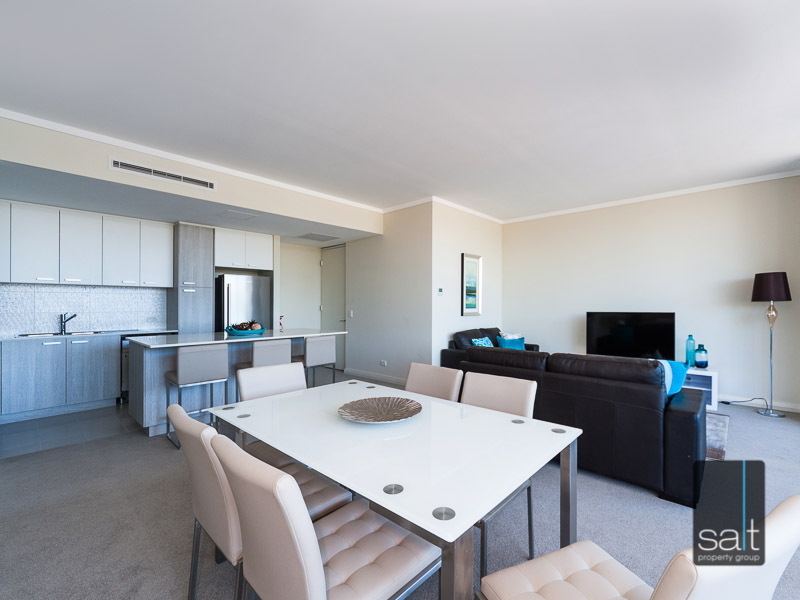 When renting out an apartment in Perth, don’t just offer a tenant a temporary stop, offer them a home. Put in the effort for them and they will return the favour by living there for years. So remember to evaluate the property as though you were renting it, take notes on anything you don’t like, make any cosmetic repairs and if possible, add extra amenities or simple comforts. Following these tips will make for a more profitable property and happier tenants.